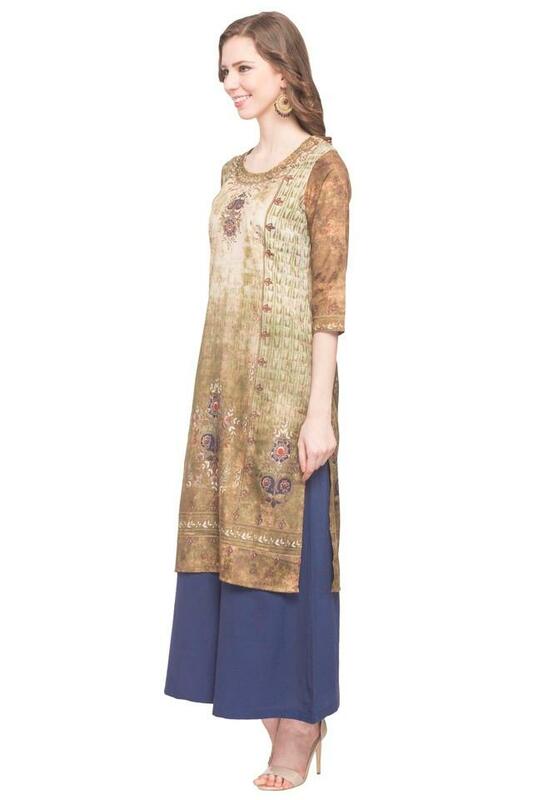 Nothing feels more stylish than wearing this kurta brought to you by Kashish. 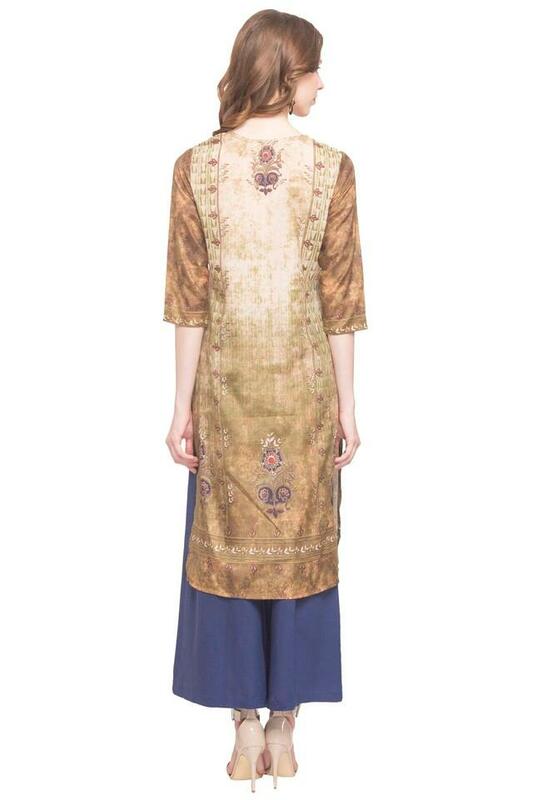 Made of fine quality fabric, it assures sheer comfort and a luxury feel. 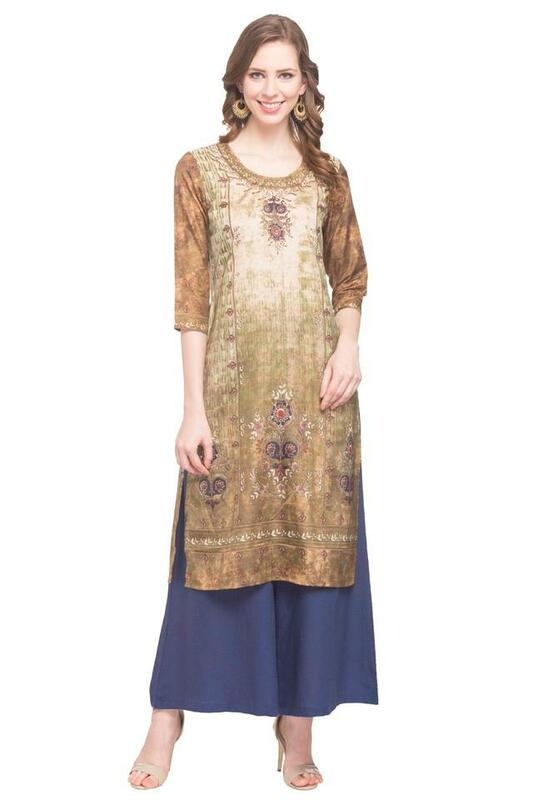 Besides, it flaunts a print pattern, which renders it classy while the round neck and three quarter sleeves further add to its overall design. Express your style better by wearing this kurta for any casual occasion. Match it with a pair of leggings and heeled sandals for a complete look.